Park Lodge Project was established in 1972 by local residents in the Clarendon Park near the centre of Leicester, who wanted to provide supported housing for homeless young people. The Project is run by a Management Committee. This committee is made up of people from a wide range of professional backgrounds who have volunteered to give their own time to manage the Project. The Project supports 46 homeless young people aged 16-25 years. It is based at 2 Central Avenue, a former commercial hotel. There are eleven rooms for young people who require high levels of support. In addition the Project provides accommodation to five ‘outer houses’ nearby for a total of eighteen young people. These are intended to be first stage move-on properties for young people with less support needs to prepare them for their own tenancy. Park Lodge Project also has twelve self-contained flats. Eight of the flats support young care leavers who require support before moving on to independent living and the remaining four flats support Young Unaccompanied Asylum Seekers. Recently Park Lodge Project has also taken on a commission from Cambridgeshire County Council for further four self-contained properties to house and support four additional Young Unaccompanied Asylum Seekers. 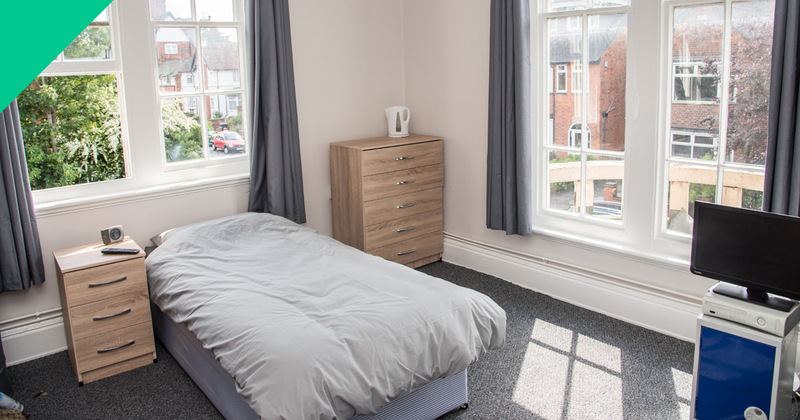 Our provision (main building and outer houses) consists of individual bedrooms with shared lounges, bathrooms, kitchens, laundry facilities and garden areas. The main building is staffed 24 hours per day, 365 days a year. We also have an on-call service. Each young person is assigned their own key worker for support with their individual needs and this forms the basis of a support plan. In co-operation with other agencies that have some responsibility for the young person staff work closely with others to provide the young people with the encouragement, guidance and advice they need to manage their lives better. Support sessions are held weekly and additional support is provided as and when required and at times of crisis. Support is determined by the needs of the resident. Progress is monitored and reviewed regularly for plans to be adapted so they support the young person as their needs change. Support is provided through a variety of methods, ie. one to one, group sessions, drop in sessions and planned activities and assessments, both informal and formal which are held during the day and evening. Onsite alternative education and a life skills programme is offered to all young people that are not engaged in any external education or training. The project has established a first class reputation and has housed well over two thousand young, single homeless people since it started. We are receiving a minimum of 160 referrals a year and, with only 45 bed spaces, our service is always in demand. The young people who use the services often have very chaotic life styles and a multitude of support needs ranging from drug and alcohol use, offending behaviour and poor mental health. Many of the young people have no idea how to claim for benefits, manage their money by budgeting, shop for food and some struggle to keep themselves and their rooms clean. The young people that we accommodate and support are some of the most disadvantaged, marginalized and socially excluded young people in the community and they often display challenging and anti-social behaviour. However, the staff team at Park Lodge Project work with them individually and as a group to make a difference to their lives and to help them become valued members of the larger community.